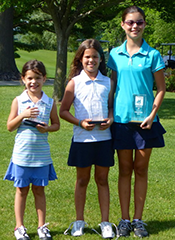 All three of the Ikeda girls took home trophies in the 2014 Pepsi Titan Little People’s Golf Championships. The three are the children of Steve and Jamie Ikeda of Windermere, FL. Megan successfully defended the 4-G title she won in 2013 in a sudden-death playoff, once again winning in a 3-hole playoff with fellow Floridian Georgia Ruffolo. Megan shot 78-79–157. Olivia, who won Division 2-G in 2013, finished 2nd in 3-G this year, shooting 46-46–92. Lauren finished 4th in Division 2-G, having placed 2nd in that Division in 2013. Congratulations to all three Ikeda girls! Jamie Broce, who won his 12-13 division of Little People’s in 1989 and 1990, finished second in the 2014 PGA Professional National Championship after leading following 36 and 54 holes. Broce, now Toledo University’s head men’s golf coach, tied with Michael Block after 72 holes, his final putt for the win lipping out. Block and Broce tied the first playoff hole with pars. Block lasered a wedge to the 2nd playoff hole from 113 yards out to within three feet and made the birdie putt to win. Broce had a downhill 25-footer but settled for a two-putt par. The tournament was played at Dunes Club and Grande Dunes in Myrtle, Beach, SC. With his second-place finish, Broce gains a spot in the 96th PGA Championship August 4-10 at Valhalla Golf Club, Louisville, KY.
All of us at Little People’s wish Jamie the very best of luck at the PGA!! Peyton Broce and Andrew Ramos have been named winners of the Little People’s Golf Championships Sportsmanship Awards for 2014. Peyton, 14, from Ottawa Hills, OH, was nominated by her playing partner, Allison Kinsinger, for always encouraging her fellow competitors, knowing everyone in her group, and “being very courteous about not stepping on her competitor’s lines and never talking while others were hitting”. 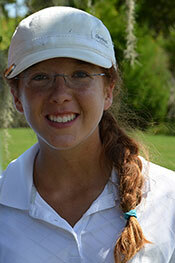 “She is overall a wonderful golfer and person with great sportsmanship,” added Allison. Peyton was playing in her first Little People’s tournament. She is the daughter of Jamie, a former Little People’s player, and Darci Broce. “She handled herself very well” said her Dad, “and met some nice new friends”. Peyton will receive the George T. Berry Sportsmanship Award for Girls, named for the father of Little People’s Tournament Director Nan Ryan. Andrew, 8, from Blaine, MN, was nominated by his playing partner, Wade Schacht. “Even when he hit a bad shot, which didn’t happen very often, he never got down and ultimately had two great rounds,” said Wade. Andrew is the son of Tim and Lesa Ramos, and was playing in his second Little People’s event. Andrew will receive the John Howerton Sportsmanship Award for Boys, named for a long-time volunteer and Board member of Little People’s who exemplified sportsmanship. Both names will be engraved on the permanent Sportsmanship Awards posted at Westview Golf Course in Quincy, IL, and will each receive an individual plaque. The Country Youth Classic and the Pepsi Titan Little People’s Golf Championships teamed up again this year to name Grand Champions of the two events. For the past four years, this award has been limited to the 16-17 age groups. In 2014, the award was extended and Grand Champions will be named in both the 16-17 age groups and 14-15 age groups for both boys and girls. The 2014 Grand Championships are: Anson Kuznik, Brooklyn Park, MN, Boys 16-17, with 162-148—310; Erica Jackson, Chicago, IL, Girls 16-17, with 163-157—320; Nate Caudle, Wayne City, IL, Boys 14-15, with 164-157—321, and Myah Jackson, Chicago, IL, Girls 14-15, with 177-162—339. Hannah Berman of Ponte Vedra, FL, has been named winner of the 2014 Pepsi Titan Little People’s “Spirit of Giving” Award. The John Howerton “Spirit of Giving” award was established in 2010 in memory John Howerton, a long-time Little People’s volunteer and member of the Little People’s Advisory Team. John truly exemplified the ‘spirit of giving’ throughout his lifetime and as a member of the Little People’s Team. Honoring Howerton and his tradition of giving back, the winner of this annual award is recognized for their volunteer and charitable work in their own communities. 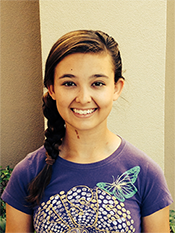 Berman, 16, of Ponte Vedra, FL, receives this award because of her organization and work with many charitable organizations, including the Cystic Fibrosis Foundation and The First Tee of North Florida. When she was just 12, Hannah started a fundraiser for the Cystic Fibrosis Foundation’s 65 Roses Charity Golf Classic called “Hitting it with Hannah”, in which she hit tee shots on a par-four for a $5 per person donation. All the money she raised that day went directly to fight CF, an organization near to her family’s hearts. Four years later, she continues this effort at the 65 Roses event, but her fundraiser has grown. She does this now for many other charity tournaments in her community, usually raising about $1000 each time with all the money going toward that organization. Also at age 12, she set up a First Tee Donation Station at her club to support the North Florida First Tee Chapter. Members donate clubs, bags, shoes and clothes for the kids that want to learn golf but don’t have the equipment. The effort continues and over the last three years, they have raised more than $35,000 in equipment. Cardboard City is another event in which she participates. This annual event, run by Jacksonville Family Promise, raises awareness for homelessness. People build cardboard box homes and sleep in them overnight – in November – to show others what it is like to be homeless. Hannah’s job is to spend time with the people who come out to support the cause and serve food – last year they served more than 300 people. She does it every year with as many friends and family as possible. Because of her charitable work, Hannah has also been named a Finalist for the American Junior Golf Association’s President’s Leadership Award. 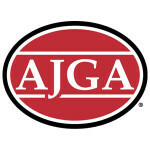 She has also enrolled in the AJGA’s Birdies for Charity in their Leadership Links program. She set her initial goal at $1500 and reached that in three days, so upped her goal to $5000 and has already surpassed that. Consistent with the fundraisers she invented, her Birdies for Charity monies go to Cystic Fibrosis Foundation and The First Tee of Jacksonville. “I think it is really important to give back to my community because I realize how fortunate I am,” says Hannah. “With each charity I work with I have learned a lot about the many different needs people have and how hard they fight. While I truly do it for them, it really warms my heart to know that I can be a part of why these families, kids, and adults are able to feel better or live a better life! “Most important, it is never a chore for me to volunteer. I realize how lucky I am, and giving back is and always will be from the bottom of my heart to help others,” she adds. “Giving back is part of my family’s culture and part of the game, and no matter how I perform on the course, I want to make sure my golf legacy is felt outside the ropes.” Hannah received her “Spirit of Giving” Award on June 16 from Tournament Director Nan Ryan, at the annual Picnic dinner held in conjunction with the 41st Annual Pepsi Titan Little People’s Golf Championships in Quincy, IL. 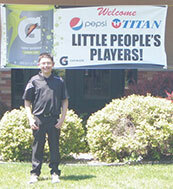 Applebee’s has announced that they will sponsor a Closest to the Hole contest for contestants in the 2014 Pepsi Titan Little People’s Golf Championships. The event will take place on the 9th hole during the practice round on Monday, June 16. Applebee’s will have representatives on the 9th hole to offer water, apples and candy bars to the players. The boy or girls coming closest to the hole on #9 during their practice round will receive a $75 gift certificate from the Westview Golf Course Pro Shop, compliments of Applebee’s. Applebee’s will also offer snacks to the Little People’s participants playing holes #19-#27 at Westview, and to the 3-7 year old boys and girls playing the KC Par-3 course. In addition, every contestant in the Pepsi Titan Little People’s Golf Championships and the Pepsi Titan LP Collegiate Golf Championships will receive a Free Appetizer card from Applebee’s. Heading the list of Little People’s players participating in the Drive, Chip and Putt Championship was Riley Rennell from Columbia, TN, who finished T-3 overall in the Girls 14-15 division. Riley won the Drive contest and was 3rd in the Putt contest in her division. Zell Wilson from Chicago, IL, finished T-4 overall in the Girls 7-9 division, and was 1st in the Putt contest. Jason Quinlan from Lakeville, MN, won his Boys 10-11 division Drive contest, and finished 5th overall in that division. Also in the Girls 7-9 division, Sky Sudberry from Spring, TX, was 7th overall in her division and was 3rd in the Chip contest. Patrick Akaniroj from Willow Springs, IL, blasted a 251-yard drive in his Boys 14-15 division, to finish 3rd in the Drive contest and T-7 overall in his division. Congratulations to our five players, and the other 83 players from all over the country and Canada, who qualified to participate in the first Drive, Chip and Putt Championship at August National!! Last year, 10-year-old Landon Buckanaga applied for and received a Little People’s scholarship to play in the 2013 Pepsi Titan Little People’s. Landon didn’t win his division. In fact, he finished far down the list of players in his 10-11 age group. What he DID win, however, is more important. “I think playing in that (Little People’s) tournament changed him,” wrote his Dad, Josh. “He came back to Minnesota and worked really hard on his game. He won a couple of MN PGA events including the season ending Tour Championship. He also won twice on the US Kids local tour and finished as Player of the Year. “I think his focus on the course has carried over into his school work,” added Josh. 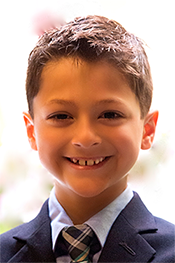 “Landon started middle school this year and he has been really working on his grades. He has made B honor roll the first 2 trimesters and has set a goal to make A honor roll in his final trimester of the year. “This has been a long winter and Landon has been working hard on his game in preparation for the Little People’s. I think he will be ready to go and have a blast. Funds for golf are a bit limited for the Buckanaga family as Landon’s Mom, Carrie, suffers from Multiple Schlerosis. South Africa Kids Golf has offered a guaranteed selection to the top three finishers in the 2014 Little People’s age groups 6-18 for boys and 7-18 for girls. 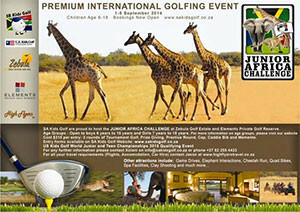 More information can be obtained atwww.sakidsgolf.co.za. The International Event in South Africa will be held September 1-5, 2014 at Zebula Golf Estate where zebra; wildebeest; giraffe; all types of buck and various non dangerous browsers traverse the Golf Course while we play golf. We will again have Elephant Interaction; cheetah runs in controlled environments available at the Opening Ceremony. The Elephant is to hand over a trophy at the Prize Giving. 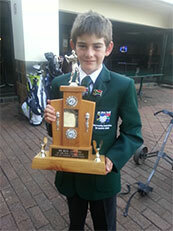 Since 2006, the South African Kids Golf Association has awarded the Nan Ryan Outstanding Sportsmanship Trophy to the deserving young golfer displaying good sportsmanship. The Trophy was established after Allen Burke, then Director of SAKG, brought his son Bryce to Little People’s at the age of 9. He named the trophy after Nan, Executive Director of Pepsi Titan Little People’s. In 2012, 10-year-old Brandon Weir was awarded the trophy, based on good sportsmanship shown during play in the SAKG tournaments. Brandon will be unable to play in Little People’s this year as he has qualified the U.S. Kids World Championships in Pinehurst, but plans to attend in 2015. Previous winners of the Trophy include former Little People’s players Bryce Burke in 2006, Sylvia Masango in 2007 and Fleetwood Grobler in 2008. SAKG has sent players to Little People’s every year since 2006 except for 2011. In 2012, Burke returned to Little People’s and won the 14-15 Division by nine strokes. Winners of the trophy are selected by a vote of SAKG parents, players and SAKG administrators. Congratulations to all the players showing good sportsmanship! It’s an honor for Nan to have such an award named for her. Here’s Brandon Weir holding the coveted sportsmanship award. The Country Youth Classic and the Pepsi Titan Little People’s Golf Championships will team up again this year to name Grand Champions of the two events. For the past four years, this award has been limited to the 16-17 age groups. In 2014, the award will be extended and Grand Champions will be named in both the 16-17 age groups and 14-15 age groups for both boys and girls. In 2013, the winners were Zach Burry, 17, of Quincy, IL, and August Will, 16, of Hudson, IL. Zach won his division at Little People’s with a 141, and combined with his CYC total of 154 gave him a 295. August shot 173 at Little People’s and 177 at CYC for a combined 350 total. Burry also won Grand Champion honors in 2012. Dan Bylsma, who recently became the winningest coach in the Pittsburgh Penguins history with 233 victories, will head the United States Hockey Team in the 2014 Olympic Games in Sochi, Russia. Bylsma has been the head coach of the Penguins since 2009, and led the team to their third Stanley Cup victory. Outstanding in many sports during his early years, Dan played in the Little People’s tournament in Quincy and finished second in his 10-11 division in 1982. Zach Johnson notched the 11th victory in his 11-year career on the PGA Tour when he won the Hyundai Tournament of Champions at the Kapalua Resort’s Plantation Course January 6, shooting 19 under par to beat out young Jordan Spieth by one stroke. Johnson, 37, is ranked #7 in the World. His one major victory came in the 2007 Masters tournament. Zach, from Cedar Rapids, IA, competed in the 1992 Little People’s tournament at Spring Lake Country Club in Quincy, IL.